Providing you the best range of bass traps diffuser, recording acoustic booth, home acoustics theater, audiometric screening booth and acoustic home theater with effective & timely delivery. 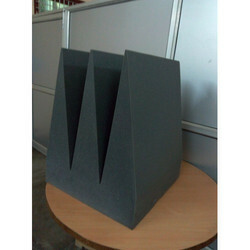 We introduce our business as a notable entity of a qualitative array of Bass Traps Diffuser. Bass Trapping is an important piece of acoustical treatment to make sure to complete room plan by also including Absorption, Diffusion. These bass traps can be fix at all corner of recording / studio rooms which will help to improve sound quality. 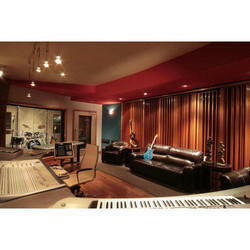 We are engaged in providing a wide range of Recording Acoustic Booth to our clients. Designed by acoustic scientist having 24 years experience in same field. The vocal booth designed for three levels of sound isolation in four different series to meet most any sound isolation need. 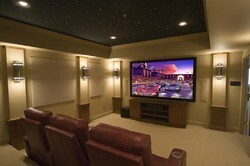 With the support of our team of experts, we are engaged in providing wide range of Home Acoustics Theater . Looking for Vocal Booth and Home Theater Products ?